← 1938 Account of a Borah Ascent. 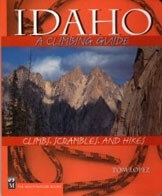 The book discusses the discovery of Borah Peak as the highest point in Idaho on pages 16 and 17. This entry expands on that discussion and adds source documents relating to the issue as well as documentation for T.M. Bannon’s first ascent in 1912. 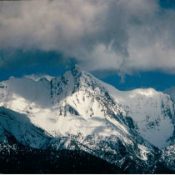 The following 1929 article from Idaho Statesman declared to the world that Borah Peak, also known as Mount Borah, was Idaho’s tallest peak. However, the second article on this page demonstrates that not everyone was willing to accept that Borah was the tallest peak. 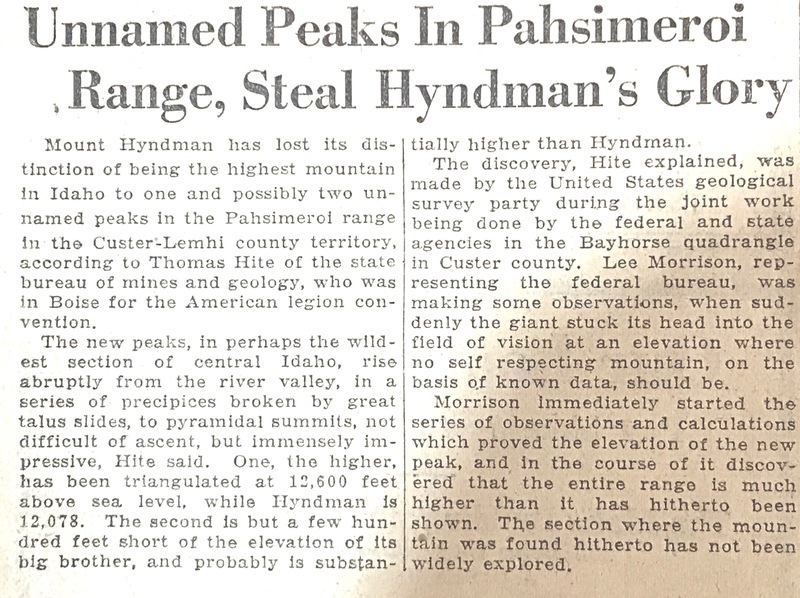 The third Idaho Statesman article on this page disputes the fact that many knew before 1929 that Mount Borah was taller than Hyndman. Interestingly, there is support for this proposition (see below) as T.M. 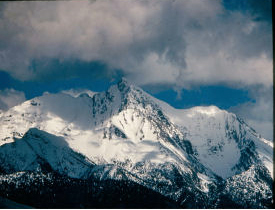 Bannon, a government surveyor, placed the Beauty Benchmark on the summit in 1912, although it does not appear he mapped an elevation at the time. Click on the articles to expand and enjoy. Idaho Statesman, November 29, 1929. Idaho Statesman December 19, 1929. Except from the Thirty-Third Annual Report of the Director of the United States Geological Survey, 1912. This 1912 entry is one of many by T.M. Bannon and covers his work on Mount Borah and briefly describes his first ascent route.